Making Folders and Grouping Apps on HTC Desire 526G/ 526G+ Dual SIM took from me a long time to know how to do that, but finally my friend tried a method and by chance it’s working good and finally I learned How to do that. The strange thing that when I needed to make Folders and Grouping Apps on my HTC Desire 526G phone, I tried to Google it, but I have nothing, and the strangest thing is when I want to Share the method with you I found the method on the HTC Company Website (India Domain), so I felt someone shoot my head. HTC Desire 526G / 526G+ is a fantastic Smartphone, It’s have a good design style and also have many important and good features. My Current personal Phone is HTC Desire 526G Dual SIM as I said, and I loved this phone because it’s have a good features, unique design, good body color, good performance, and also appropriate price. It’s the first time for me to own and using HTC device as a personal phone, but anyway I admired with this Company devices. HTC Desire 526G/ 526G+ have many features, but you may find some difficulties to use them. My tutorial today is about something like the previous thing which you can’t do it easily if you are a new HTC user or even a normal user. I called this model the mysterious phone, because I feel that is HTC Desire 526G/ 526G+ seems to be a Puzzles Box and you have to keep thinking till you get the solutions. 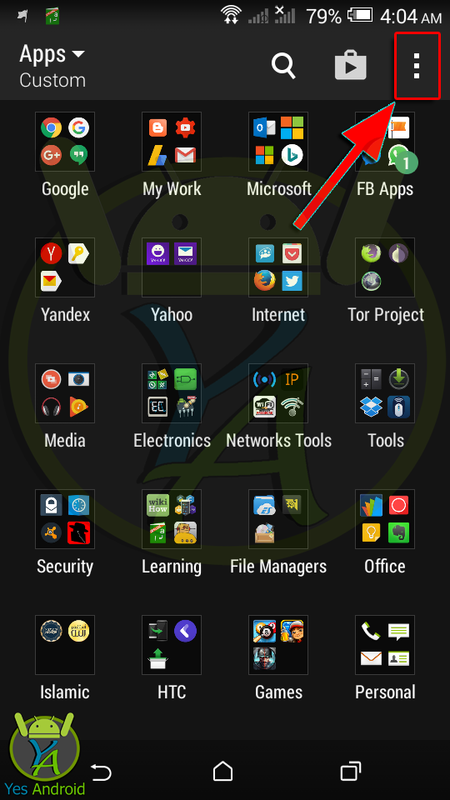 In this Tutorial I will help you to make Folders and Grouping Apps into these folders easily. As I said It’s my current personal phone and also it’s my First time HTC use, so maybe this method working with another HTC model such as HTC Desire 500, so that you can try and give me a feedback. 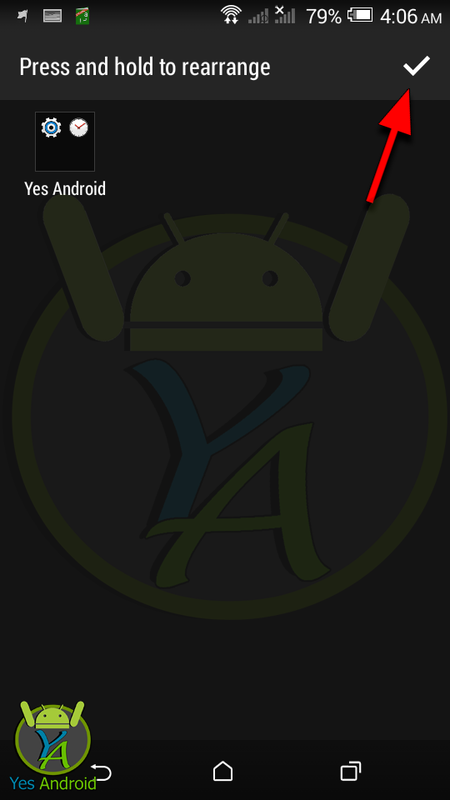 1- Open the all Apps View and press on the 3 dots to get the extra options menu as shown in the following picture. 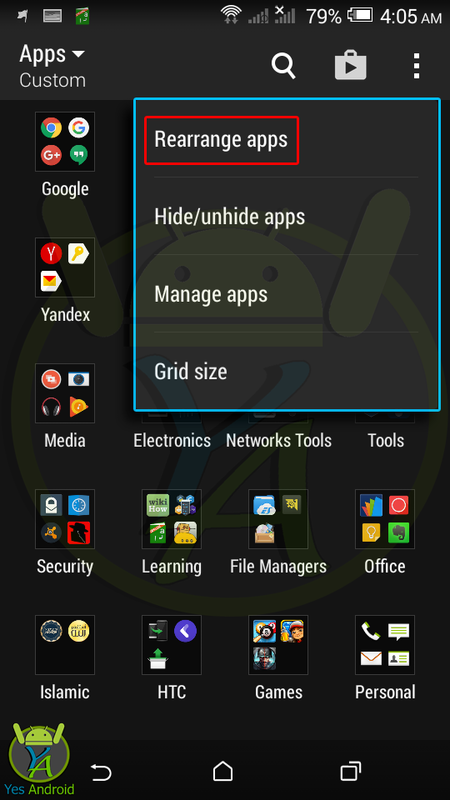 2- From this menu select “Rearrange Apps” as shown in the following picture. 3- Now press and hold on the App that you want to drop it into a Folder and group it with another App, and drag it over to the other App. 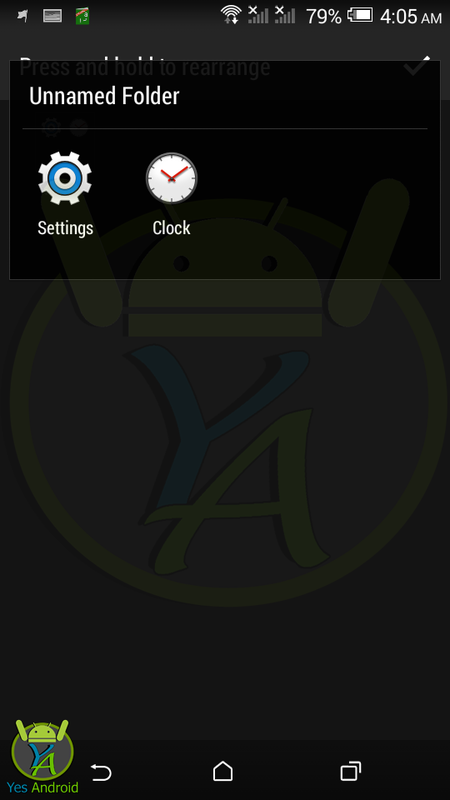 In the following picture I pressed and hold on the “Clock” App and I dragged it over to the “Settings” App to automatically create a Folder to group them into it. See the following picture. 4- Now you will find that you created a folder and you should be happy because you resolved the puzzle. 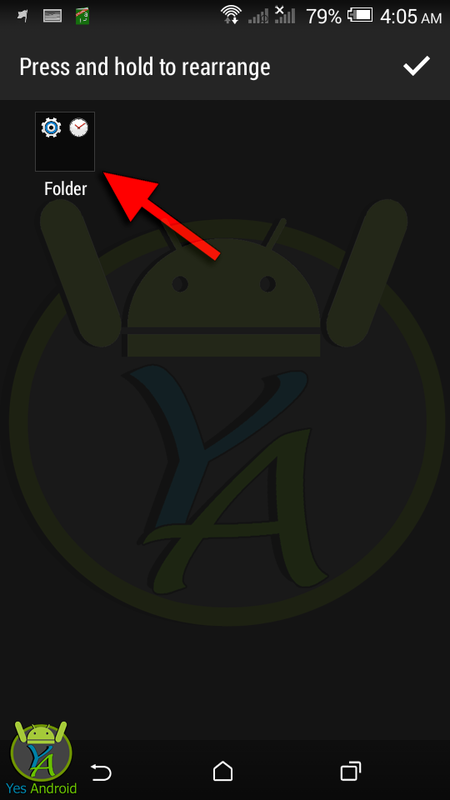 The default name of the folder is “Folder”, and to change it press on the Folder to open it. 5- You will open the folder and it will be something like that as shown in the following picture. 6- Press on the “Title bar” of the folder or on the “Unnamed Folder” words, and you will see the Keyboard is showing to type the name you want. 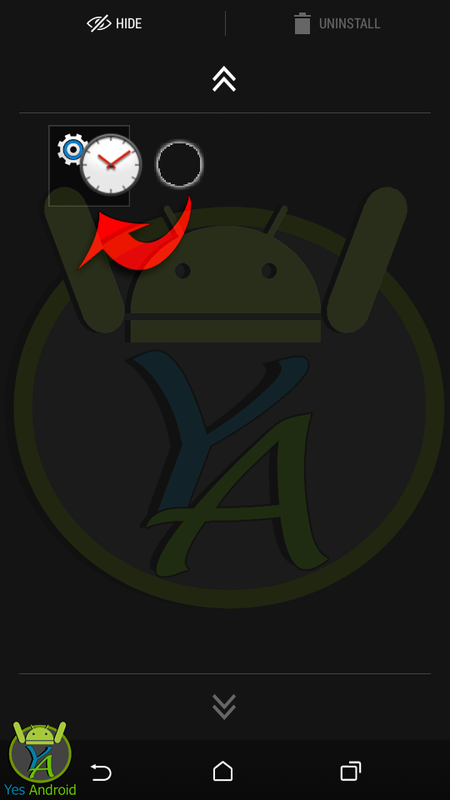 After renaming it press “Enter” button on the Keyboard or press on any empty area on the screen to accept the new name. See the following picture. 7- After renaming your new folder press on the ” √ “ on the upper right side to finish the job. The maximum number of Apps that you can put into a folder on HTC Desire 526G is “16 Apps”. If you want to drag an App outside the Folder, press and hold on the App and drag it to an empty space outside the folder, then you will find the folder is closed, release the App and you will done. Finally you can organize and group your Apps together on your HTC Desire 526G to make your phone like a master phone. As you saw in the previous pictures, I organized all of my Apps and grouped All of them into folders after I know How to group Apps into folders on HTC Desire 526G/ 526G+ Dual SIM Smartphone. Feel Free to share this simple tutorial with your friends. Who knows maybe this tutorial help someone else. See Ya.